There’s a quiet moment, perhaps a long drawn out pause, and then... a sudden emotional outburst! You witness a powerful burst of noise — violence the like of which you have never seen in a comic book before... And yet, somehow you understand it, because the change in tone and volume is underscored by a scalloped, spiky or double-outlined balloon! 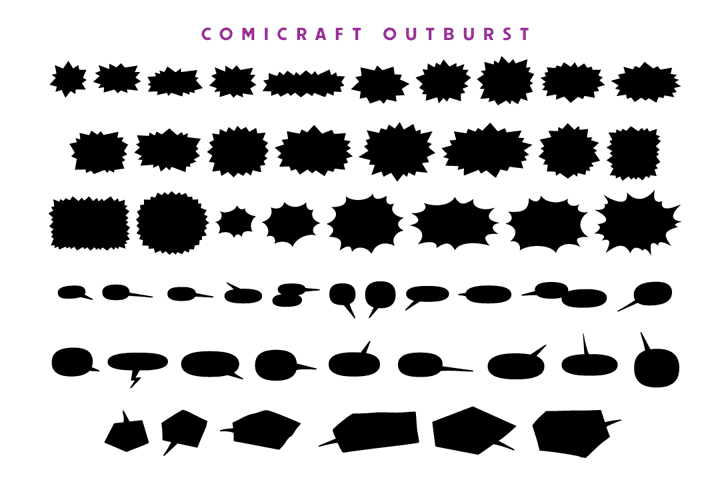 ComicraftOutburst is perfect for dramatic exhortations in stormy scenes wherein characters seem to be screaming and yelling at each other. But use with caution... ComicraftOutburst may cause severe personality changes and provoke dramatic alterations in the perception of your central characters. 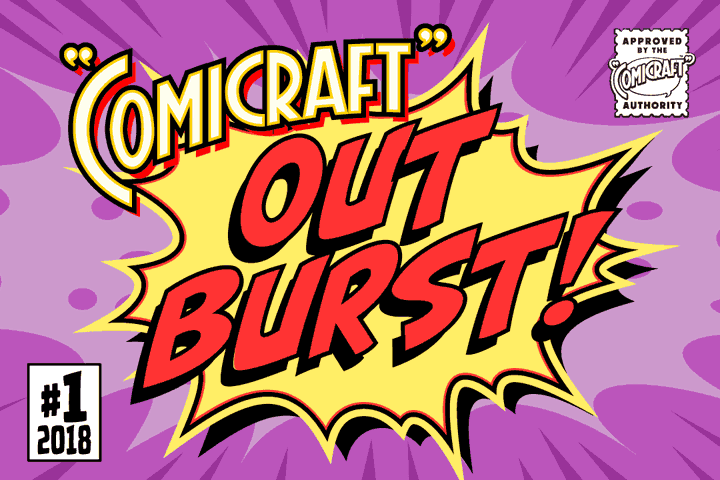 Watch Comicraft's John Roshell use Outburst in Adobe Illustrator here. 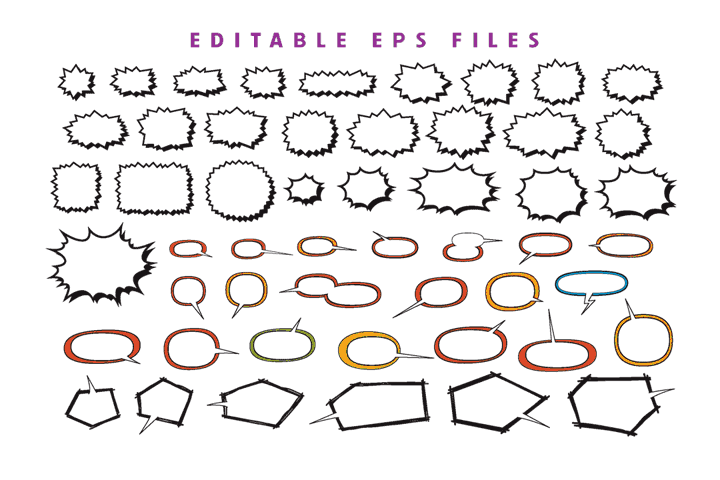 Three fonts (OutburstMain, OutburstOpen, OutburstExplode) each with 52 burst balloons, plus editable EPS files.